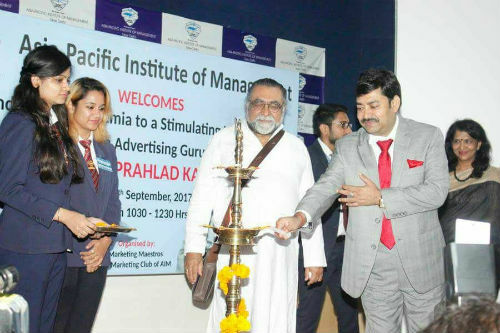 New Delhi: ASIA PACIFIC INSTITUTE OF MANAGEMENT welcomed the advertising guru MR. PRAHLAD KAKAR for a guest lecture on mantras on successful branding. 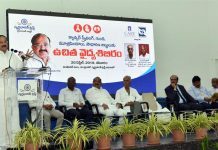 This event was attended by the chairperson MR. A.K. SRIVASTAVA, The faculty members and the students. it was also attended by guests from the media,the board of directors of AIM,corporate guests and recruiters. Mr. Kakar mentioned that Learning process starts from childhood, to be successful ego should not come before learning. He stated that dreams are all about how creative a person is. Our hope comes from dreaming. He mentioned that higher is the risk involved, higher is gain from that plan. For success he said it is not mandatory to be successful in the first attempt, failure teaches us to learn. Handling rejection leads to fearlessness. He shared a valuable lesson that 2+2 is not equal to 4 but 22 i.e by adding value with passion and commitment. He gave Ericsson mobile phone’s example to tell the students that the companies needs change to survive. Change is the only constant. 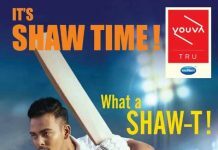 He concluded his session by presenting his wonderful piece of advertisements like pepsi ad, Times of India ad, safari dicora ad etc. Since 1996, Asia-Pacific Institute Of Management has been making great strides in the field of Management in India and abroad alike. AIM believes in training and molding its students in accordance to the demands of today’s dynamic environment. Impeccable industry relations have been the forte of Asia-Pacific Institute Of Management. Ranked amongst the top rated B-Schools in India, Asia Pacific Institute Of Management is well known for imparting intellectual & professional knowledge to its students.